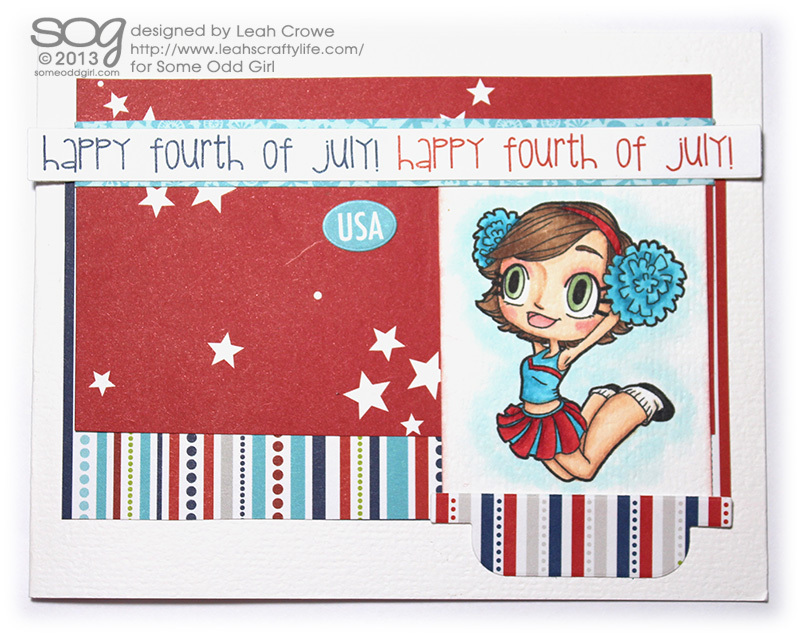 Leah's Crafty Life: July sketch fun! Happy day friends.. it's July 1st, and what could be better than checking out the new July sketch from Some Odd Girl? We came close to 50 participants last month, and we reallly want to get there.. I hope one or many of my crafty friends join in on the fun! My birthday is in two days, so I just had to create a Patriotic card using Kaylee. I printed her out on Bazzill cardstock and colored her with my copic markers. 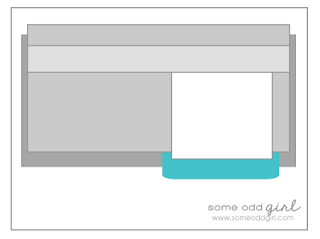 Go see what the other awesome Oddies created and how YOU can join in on this months sketch challenge!! Hooray!! What a great card for the 4th!! Too cute! So beautiful! LOVING the colors and the stars!!! 2 more projects with my July CME kit!! 8 high fives coming atcha!